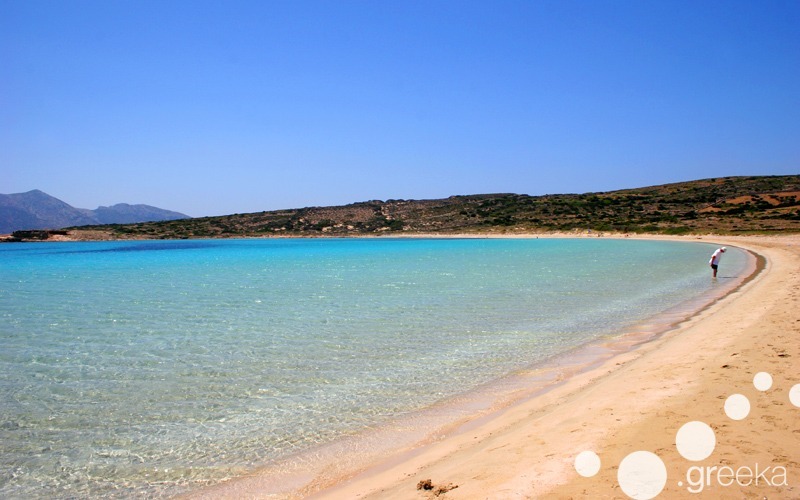 They are frequently called “The Back Islands” as they are found on the back side of Naxos. Geographically located between Naxos and Amorgos, this island complex of Small Cyclades actually consists of four main islands: Koufonisia, Donoussa, Schinoussa and Iraklia. Many smaller and presently uninhabited islands form this complex, such as Kato Koufonisi or Keros island with the intense archaeological interest, but they are visited only for boat trips, not for holidays. 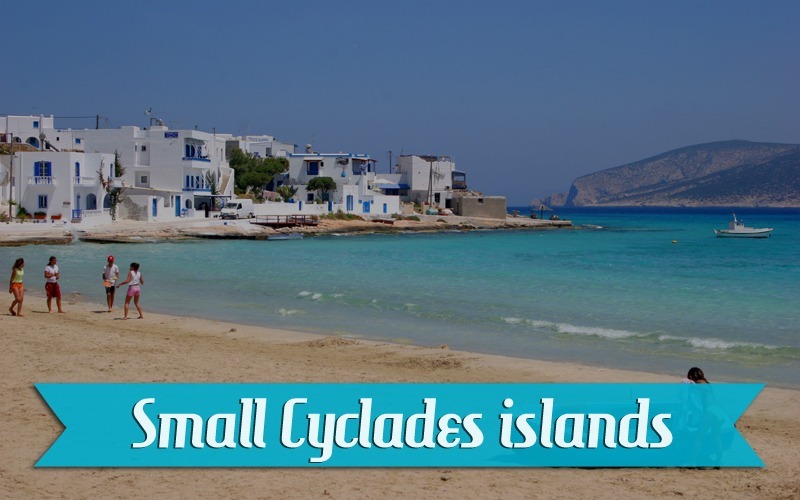 Until few years ago, the Small Cyclades islands remained totally off modern civilization. It was as late as 1982 when they obtained electricity power. Even today only one central asphalt road runs them, with many regional roads still remaining track. These islands also have no public transport. All transportation has to be done by foot. Some local apartments occasionally arrange shuttle bus itineraries to the port and few beaches around the island to facilitate visitors. Generally these places are fantastic, alternative holiday destinations, totally off the beaten track. Koufonisia is the most famous island of Small Cyclades, as it attracts a considerable number of visitors in August. However, during the rest of tourist season, this tiny island is totally secluded. Famous for its fantastic beaches and the cozy village, the only village on the island, Koufonisia is great for walkers and naturists. 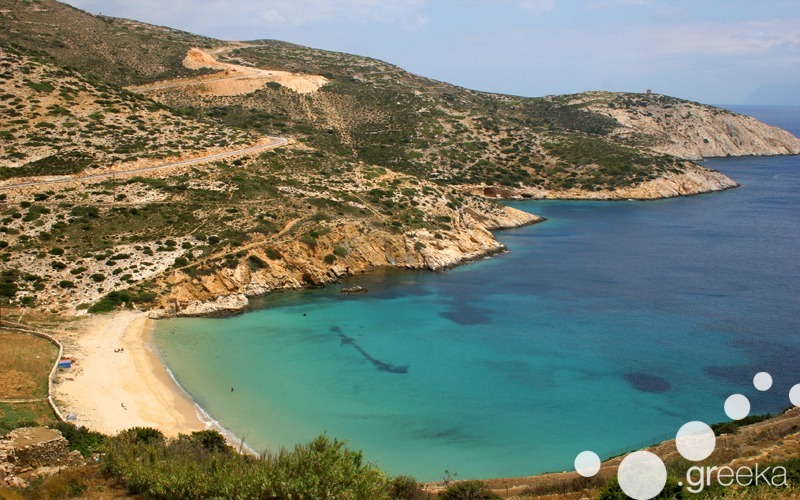 In fact, most beaches of Koufonisia are frequented by naturists, such as Pori, Fanos, Megali Ammos and more. Some hotels also offer bicycles to their guests to move around easier. 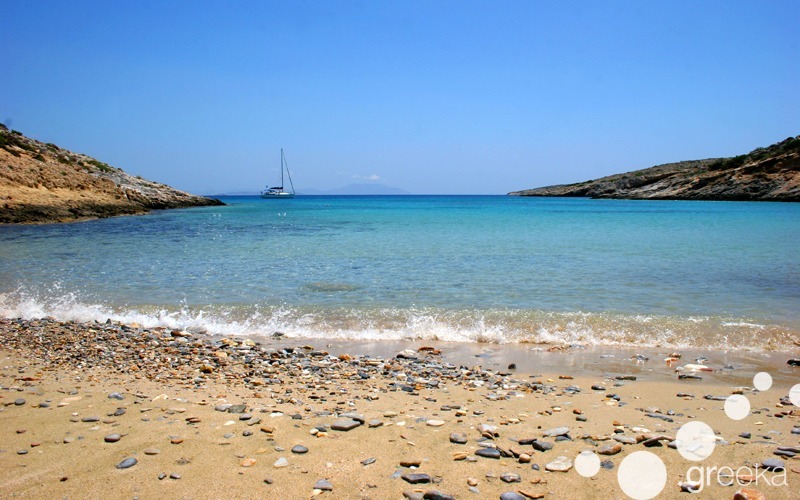 As this is the most “tourist” island of the Small Cyclades, there are even day tours to Koufonisia from Naxos or Paros. How to go: There is ferry to Koufonisia from Piraeus port in Athens 3-4 times per week. There is also a local ferry to Koufonisia, the legendary ferry Skopelitis, from Naxos, Amorgos and the other Small Cyclades islands 6 times per week. A place with intense Cycladic colours, Donoussa island is a fantastic Greek destination for total privacy and relaxation. Nice studios can be found at the main village and the beaches close to the port. The southern side of Donoussa has large bays with exotic waters, such as Livadi and Kendros, to spend a long lonely day on the beach. Some yachts moor off the beaches of Donoussa, but nothing to spoil the remoteness of the place. How to go: There is ferry to Donoussa from Piraeus port in Athens three times per week. The legendary local ferry Skopelitis runs the schedule between Naxos, Amorgos, Donoussa and the other Small Cyclades islands 6 day per week. Geographically located between Kato Koufonisia and Iraklia, the small island of Schinoussa is no different in nature and style than the other Small Cyclades islands. With large secluded bays, tiny settlements and wild landscape, Schinoussa is a place to enjoy full privacy, away from modern civilization and other tourists. A walk around the island will bring you to traditional taverns with fresh sea food that the locals fish every morning. How to go: There is ferry to Schinoussa from Piraeus three times a week. There is also the local ferry Skopelitis that runs the schedule between Naxos, Amorgos and the Small Cyclades 6 days a week. Iraklia island is probably the least inhabited destination of Small Cyclades. With a tiny main village and few houses scattered around the port, this place charms visitors with the lonely beaches and the virgin landscape. Be prepared for a lot of walking because there are limited ways to get around Iraklia. For swimming, try the large beach of Livadi or stay at the port beach. How to go: There is ferry to Iraklia from Piraeus port in Athens three times a week. Also the local ferry Skopelitis runs the trip between Naxos, Amorgos and the Small Cyclades 6 days per week. ← Cyclades architecture: what makes it so special?